Below is copied an email circulated to the member organisations of ENCOD, a European umbrella group concerned with the failings of international drug policy. Transform would encourage you to send letters, either as individuals or as organisations, using the contacts and information provided to plea for the life Basil Omar. 17 years and then execution for a kilo of cannabis - think about it. On 20 March 2007, the Federal Court of Malaysia confirmed the death sentence of Basil Omar (36), who was caught with 1 kilo of cannabis in January 1990. We ask everyone to copy the following letter to the relevant authorities (which has been sent on behalf of ENCOD), sign and send it as well by normal post or by e-mail to the Malaysian embassy in your neighbourhood. As a European coalition of NGO's and individuals concerned with the global drug issue, we would like to inform you herewith of our deepest concerns about the upcoming execution of Mr. Basil Omar (36), whose death sentence was confirmed recently. Mr. Basil Omar was caught in possession of 1 kilo of cannabis on January 31, 1990. He was sentenced to death in September 1994. On 20 March 2007, Mr. Omar's appeal to the Malaysian Federal Court to have the death sentences by hanging reversed, failed. The use of the death penalty as such runs counter to the universal protection of human rights and is at odds with the international trend away from the use of this measure. Very few countries currently carry out executions: provisional figures compiled by Amnesty International indicate that only 20 of the United Nation's 193 member states carried out state killings in 2006. In countries such as South Korea and Taiwan, authorities are considering to abolish this measure. We hope that this will soon be the case in Malaysia as well. However, in this particular case, we believe there is no valid argument whatsoever to carry out this punishment, and urge you to do whatever is possible to reverse the sentence. Cannabis is a natural product, a non-lethal substance. Its consumption is widespread around the world, as it has been for thousands of years among many different cultures and people. In most European countries, cannabis possession for personal consumption is not even penalised anymore. In the coming years, we expect major law changes that will allow for the cultivation and distribution of cannabis to adults in several European countries. In spite of executions of drug traffickers in Malaysia, the country is not and will never be drug-free. Many people in Malaysia want to consume cannabis and other drugs, so it is obvious that other people will supply them. Taking the life of Mr. Omar will not change that situation. 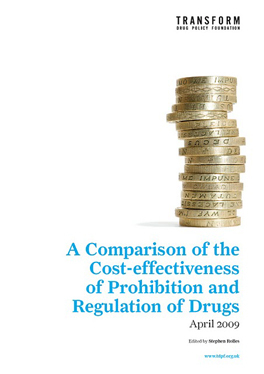 Drugs trafficking is the core business of globally organised criminal organisations. Mr. Omar or others who are occasionally caught by authorities with relatively small amounts do not have major responsibilities in this business. Killing them will not scare the drugs gangs away. On the contrary, it is possible that thanks to these punishments, the drugs barons can continue to justify extraordinary high prices for their goods. ENCOD strongly believes that the drugs problem can only be reduced by effective social and health policies, not by legal sanctions. 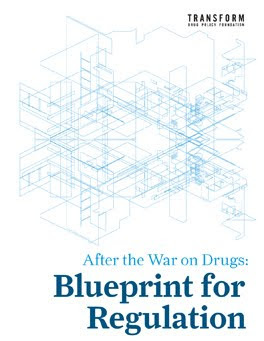 Innovative strategies for addressing the issue both globally and locally are needed, and the harsh implementation of drug prohibition is a major impediment to thee introduction of these strategies. The reinforcement of policies that have failed until now will increase the lack of credibility of authorities in the opinion of the general public. We call upon your wisdom to apply principles of sound governance and reverse the death sentence for Mr. Basil Omar. We also offer you our co-operation in order to convince European governments to support Malaysia in the creation of structures which would allow for the reduction of harm that the production, trade and consumption of illicit drugs can cause.